Usually, Apple is the one to claim patent infringement in a court of law, but now it seems that the case has changed. The company is forbidden to sell iPhone 6 and 6 Plus models in Beijing, because a Chinese low- cost company, Shenzhen Baili, has just won a patent infringement case against the globally known tech giant. According to sources, the court order was appealed, so there still is another chance for Apple to win the lawsuit, but given the fact that lately the Chinese municipal patent offices seem to back local companies against globally know ones, we might just see the Cupertino-based company lose this fight. According to the Beijing Intellectual Property Office, Apple infringed on the design patent of the 100C model produced by Shenzhen Baili when designing the iPhone 6 and 6 Plus. the two companies delivered extremely similar smartphones according to the Property Office, so one of them has to disappear from the market, and in this case, according to the ruling of the court, it seems that Apple is the one who has to withdraw their product from the shelves. Although there is a ruling in this case, since it was appealed, the sales injunctions are forestalled until there is a ruling of the appeal also. So if you are in Beijing and would like to purchase an iPhone 6 or 6 Plus, maybe you should do it rather sooner than later, because it might not be available on the Beijing market in the near future. Even though it’s definitely not pleasant to be involved in a patent infringement case, this particular one should not have a serious effect on the company, especially since the 6S and the 6S Plus are not targeted, and the iPhone 7 is about to be revealed in the fall. There are other patent infringement cases in which Apple was involved in China, and in some of them the company had to pay even $60 million in order to be able to use certain trademarks. Compared to that, the current lawsuit is really not a big deal. 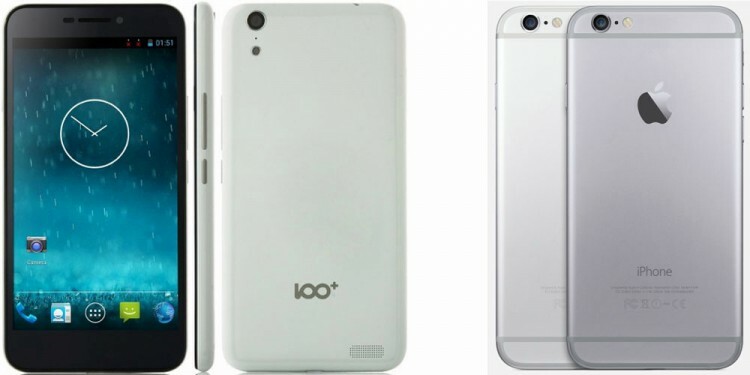 Do you think that the 100C and the 6 and 6 Plus look incredibly similar?